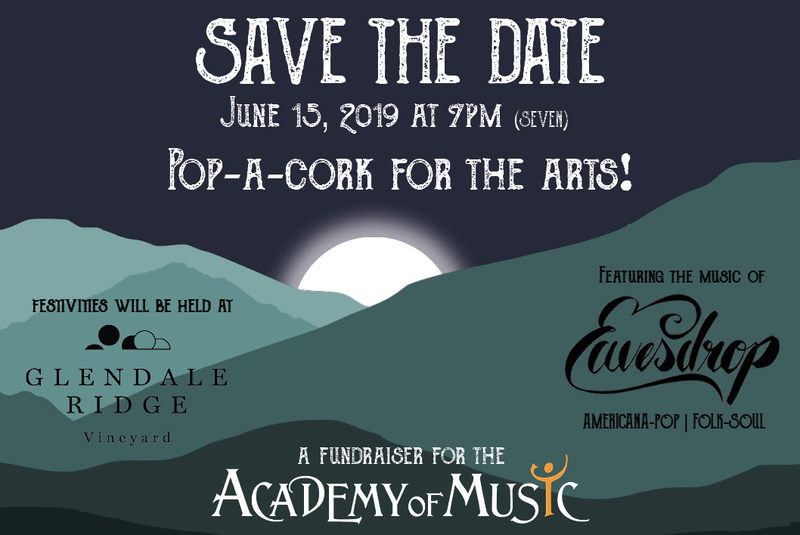 WHAT: Pop-a-cork for the arts! Please join us at Glendale Ridge Vineyard for the 2019 Fundraiser to celebrate and support the historic Academy of Music Theatre! The Academy spends all year bringing diverse arts programming to the pioneer valley, but we can’t do it without the support of our community. 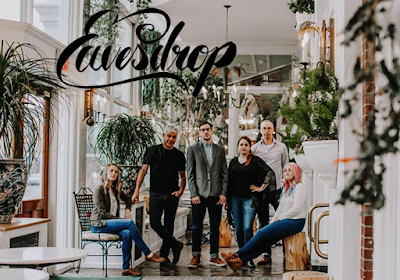 Come sit out on the winery lawn, enjoy the views, a glass of wine, the sweet tunes of Eavesdrop, and remember for a moment what it means to live in the Pioneer Valley. Official invitations will go out in May. Hailing from the Northeast, these Pioneer Valley natives provide a sound all their own; a perfect combination of soulful vocals, intricate harmonies, contagious melodies and moving rhythm. Originating as a trio, friends Kara Rose Wolf, Kerrie T. Bowden and Laura Marie Picchi maintain their vocal roots and continue to shape their sound through writing and collaborative instrumentation. Eavesdrop’s debut EP, The Afterglow, showcased the trio’s vocally charged acoustic, folk, soul roots. With their latest release, TIDES, the band has expanded into a six piece ensemble. Co-produced by Alan Evans and Ross Bellenoit, TIDES is the band’s first full length album. It brings the listener on a ride alongside the three songbirds, taking a deeper look into the life events that fostered their creativity.